A clean camera is a happy camera, and a dirty camera can turn an amazing shot into a gigantic mess. Rather than spending time cleaning up after your camera in post-processing, save time by keeping your camera clean in the first place. Modern cameras are fairly well-sealed to protect their delicate inner workings from the potential dangers of everyday use, and some top-of-the-line DSLRs and point-and-shoot cameras offer an even higher level of protection: advertising weatherproofing or waterproofing to certain depths. There are still reasonable precautions you should take with any camera. I protected my camera with an improvised plastic bag hood to capture the snow as it came streaming down and then transferred it into an intact plastic bag just before bringing inside. If you own a DSLR camera, consider purchasing a UV filter for each lens and leaving it on the lens at all times (unless you are using other filters). A UV filter offers some protection to your camera from UV rays but will not interfere with the color balance or quality of your images. Filters are easy to clean and, in a worst-case scenario, much cheaper to replace if scratched or permanently damaged. I use B+W UV filters on my lenses. When using or changing filters, always grip them by the edges to avoid fingerprints or grease from your hands. You should also purchase and use a lens hood which can protect against general human error, such as bumping your camera into things. Even with care, your camera and your lens will get dirty. Smears, smudges, grime, and fingerprints are all clean-able problems, provided you have the right tools. In an earlier post on Travel Photography Must Haves I discussed two cleaning products that I never travel without: a blower and a LensPen. The blower serves as an initial step to remove large, visible debris from your lens or camera body, while the LensPen has a two-step process with first a soft brush to clean off remaining debris and then a flattened wiping end with a stored cleaning compound. The Giotto brand of rocket blowers are very well-regarded by photographers and come in multiple sizes, and the LensPen is small enough to fit easily in a purse or camera bag. Mine stays in my purse at all times. For more thorough cleaning, you may also want to invest in a liquid lens cleaning solution and a microfiber cloth or disposable wipes. The liquid cleaning solution may be necessary for persistent, sticky smudges. It is recommended that you spray the cloth or wipe, not the lens, with the solution and then clean in small, circular motions. Many cleaning kits with solution, wipes, or cloths are available online. Another cleaning tool that I keep in my camera bag is a small, quick-dry towel designed for backpackers. The washcloth-equivalent size packs down small enough to throw into a pocket and can absorb a surprising amount of liquid. These are useful to have around in case of surprise rain, snow, fog, or spills. 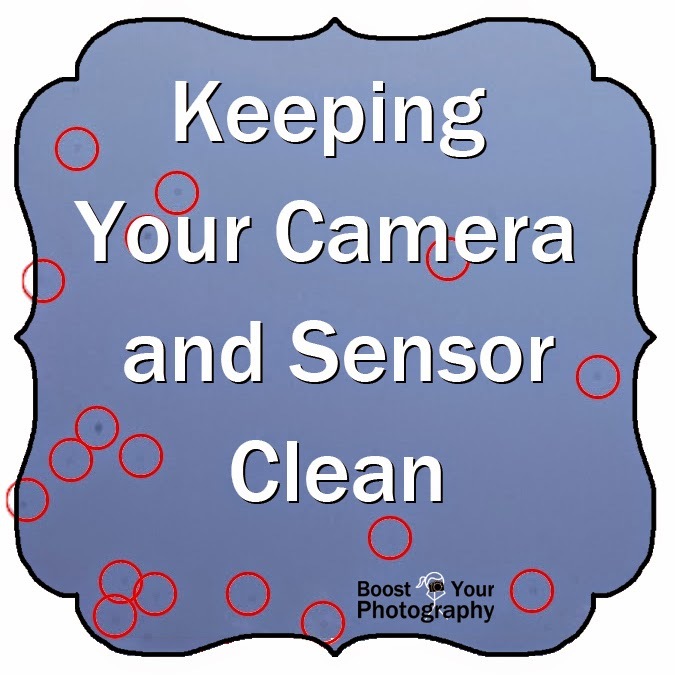 The final hurdle in keeping your camera clean is protecting your camera’s sensor. If you have a point-and-shoot camera, your sensor is generally well-protected, but if you have a DSLR or other interchangeable lens camera, your sensor is potentially exposed each time you change lenses. To minimize damage to the sensor, you should try to only change lenses when your camera is off and when you are indoors or in a protected environment. Many photographers avoid changing lens outside or in windy or dusty conditions when at all possible. When changing lenses, keep your camera body pointing level or downward to avoid dust from the air settling down inside the camera body, and make the change as quickly as possible. Most DSLR cameras have an option in the menu to enable automatic sensor cleaning. (Check your manual if you cannot easily find a ‘sensor cleaning’ tab in your menu options.) Each time you turn your camera on or off, it will engage in its own process to shake loose and remove internal debris. This process takes almost no time at all, and I leave it enabled at all times. 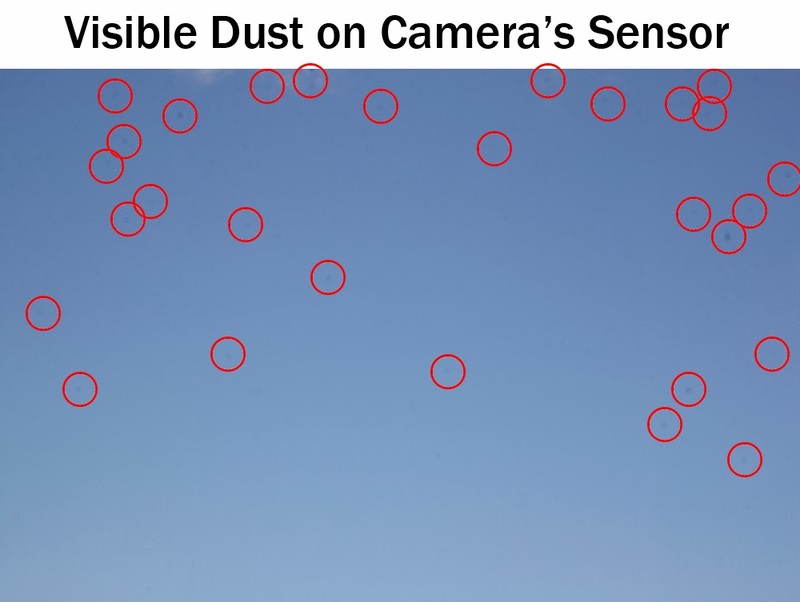 The time may come, however, despite your best efforts, when dust, debris, or smudges have accumulated on your sensor to the extent that automatic cleaning is not solving the problem. You may start noticing dots or smudge marks on your images that remain in the same place even when your recompose or use a different filter. To check for sensor debris, aim your camera at a blank area (blue sky or a white wall work well) and take a picture at your narrowest aperture, like f/22. 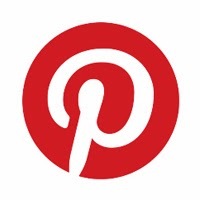 View the resulting image on your computer at 100% magnification to search for tell-tale signs. (I often take two or more pictures aimed at different spots of the sky just to confirm.) Below is the result I found when I finally admitted to myself that it was time to get my sensor cleaned. Circles indicate only some of the dark spots and smudges from my dirty camera sensor. You have a few options for cleaning your camera’s sensor. The first is to have it done professionally by your camera manufacturer. This process usually involved mailing off your camera to a distant workshop and getting it back several days or potentially weeks later. The second option is to have your sensor professionally cleaned by a local camera company or store. Many camera stores have someone on-site who has been trained to clean camera sensors properly, and you will generally have your camera back within a day or two. The final option is to buy a camera sensor cleaning kit and do the process yourself. I am more than a bit squeamish when it comes to potentially messing up the insides of my camera, but you can find cleaning kits and full directions online. In the end, I opted to get my sensor cleaned by my local camera store, and $50 US and two days later, I was able to re-take my sensor-testing image and pass with flying colors. It is important to keep your camera and your camera sensor clean. A few simple precautions, like paying attention to your environment and surroundings, and having a safe, clean place to store your camera will go a long way towards keeping your camera clean. Be attentive when changing lenses or filters to avoid dust or debris getting into your camera’s sensor and fingerprints all over your lens glass or filters. Keep up with cleaning your camera as needed, using simple tools like a blower, LensPen, liquid cleaning solution, and wipes or a microfiber cloth. Keep an eye on your sensor and look for the tell-tale smudges and smears that indicate you may need to consider getting it cleaned. Each of these steps will help your photographs turn out perfectly and unmarred by smears, smudges, or dust specks. Have a favorite cleaning device or method I missed? Let me know in the comments.